Your prayers are being heard. In the video below, Pastor Paul Begley speaks of the bees and snakes that God has sent into Boko Haram to attack them, some of whom have surrendered, some of whom have died. -W.E. 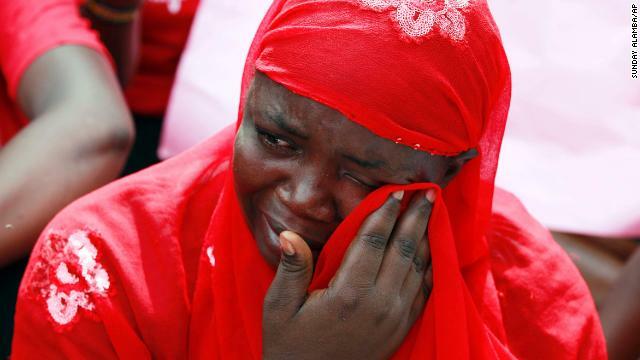 Kano, Nigeria (CNN) -- Sixty-three women and girls kidnapped by Boko Haram last month in Nigeria escaped from their captors and have returned to their burnt village, a security source and a local vigilante fighting the militant group said. The hostages were seized from the Kummabza village in northern Borno state on June 18 after a four-day invasion of the village by Boko Haram insurgents. The militants killed 30 men and burned the entire village. Boko Haram has been active as a violent group since 2009 and has killed Nigerians, both Christian and Muslim, at rates frequently exceeding 100 people weekly. The female hostages escaped Friday while their captors left their camp to launch an attack against the military and police in the nearby town of Damboa, said Bukar Kyari, a local vigilante fighting Boko Haram in Maiduguri. Soldiers overwhelmed the insurgents, forcing them to mobilize all their men and leave the abducted women in the camp, Kyari said. "The women seized that rare opportunity to escape when they realized they were alone in the camp," Kyari said. "But we still have five women, including a nursing mother, missing." News of the escape was slow to emerge due to trouble with telecommunication towers in the area damaged by previous Boko Haram attacks. A woman attends a demonstration Tuesday, May 6, that called for the Nigerian government to rescue nearly 300 schoolgirls who were kidnapped last month in Chibok, Nigeria. The girls were taken by the Islamist militant group Boko Haram. Boko Haram has recently intensified abductions of women in northeastern Borno state, where its five-year insurgency is largely concentrated. When a group of women and girls abducted in November was later rescued from Boko Haram, some were pregnant. Others had been forcibly converted to Islam and married off to their kidnappers. The April kidnapping galvanized international opinion against Boko Haram and inspired the hashtag #BringBackOurGirls. The terror group abducted an estimated 276 girls April 14 from a boarding school in Chibok in northeastern Nigeria. Dozens escaped, but more than 200 girls are still missing. Since then the insurgents, seemingly galvanized by the attention, have stepped up the frequency and brazenness of the attacks on villages in the region. Other girls have been kidnapped, but in lesser numbers. The Nigerian government has come under fire for not doing enough to find the girls. About a month ago the government tried to stop organized protests for the abducted girls, then backtracked and allowed the protests. Meanwhile, the group continues battling Nigeria's military. Its ambitions have apparently expanded to the destruction of the Nigerian government. On Friday, at least six soldiers, five police officers and 53 Boko Haram fighters were killed after the militants launched an attack in the town of Bama, the Nigerian Defense Ministry said. Local residents said half the town was burnt, including the police station. Many of Boko Haram's attacks take place in the northern part of the country, despite the fact that Nigeria's northern half is mainly Muslim and the south is mainly Christian. But the radical militant group does not consider all Muslims as supporters and allies. 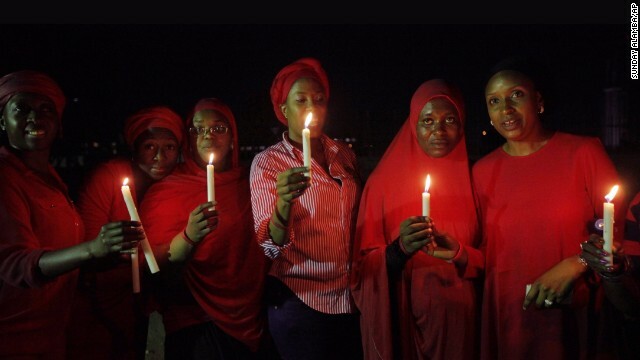 Boko Haram has allegedly killed Muslim clerics who have dared to criticize the group. And there have been suggestions that it attacks certain mosques because members have spoken out against it and helped federal officials with their crackdown. Analysts say attacks are aimed at instilling fear in the local population to prevent cooperation with the government. Mohammed Yusuf, a charismatic young cleric, founded Boko Haram 12 years ago as part of his push for a pure Islamic state in Nigeria. He was killed in 2009, but his group lived on. Boko Haram became more violent after his death as his supporters vowed to strike back. Human Rights Watch estimates that in the past five years, more than 3,000 people have been killed in the violence.